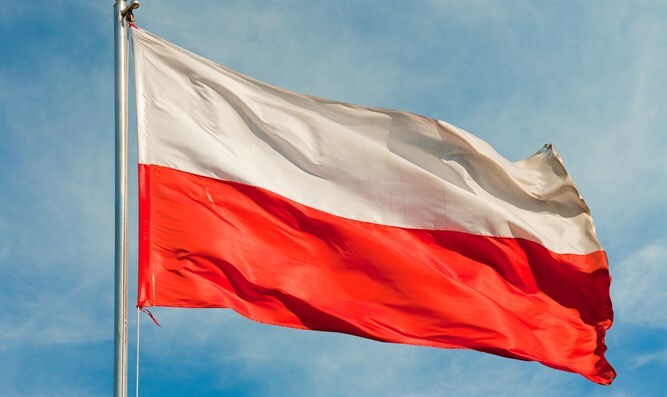 University of Warsaw's Center for Research on Prejudice finds that Poland has seen a rise in anti-Semitism over the last two years. Poland has seen a rise in anti-Semitism over the last two years, partly fuelled by Europe's migrant crisis, according to a study released on Tuesday. The University of Warsaw's Center for Research on Prejudice found that acceptance for anti-Semitic hate speech -- especially among young Poles on the internet -- rose between 2014 to 2016 compared to previous years. Their study was based on a sample of 1,000 adults and 700 youths. Only 23 percent of surveyed Poles declared positive attitudes towards Jewish people in 2016, compared to 28 percent in 2015. Researchers attribute the increase to a spike in Islamophobia and anti-migrant sentiment triggered by Europe's worst migrant crisis since World War II. Many of the migrants were from conflict-ridden countries like Syria and Libya. Politicians in eastern EU states, notably Poland's populist leader Jaroslaw Kaczynski, were quick to raise the specter of Islamic State jihadists carrying out terror attacks once inside the bloc. Very few refugees or migrants arrived in Poland after Kaczynski's governing Law and Justice (PiS) party refused them entry. Yet, the Warsaw University researchers concluded that "fear of Muslims that arose between 2014 and 2016 has increased negative feelings towards Jews among people regardless of their age or political affiliation." The study found that 37 percent of those surveyed voiced negative attitudes towards Jews in 2016 compared to 32 percent the previous year. 56 percent said they would not accept a Jewish person in their family, an increase of nearly 10 percent compared to 2014. Nearly a third (32 percent) said they did not want Jewish neighbors, compared to 27 percent in 2014. The study follows the release of the annual Anti-Semitism Report for 2016. The report, by Israel’s Diaspora Ministry, found that the number of anti-Semitic incidents in Germany more than doubled between 2015 and 2016. In 2015, 194 incidents were reported, whereas in 2016, the number rose to 461. It is expected that the rise is related to Syrian migrants and Germany's new right-wing government. In addition, the report found that the number of violent anti-Semitic incidents rose by 62% in London.